India’s medal tally rose to 42, including 17 gold, 11 silver and 14 bronze. Their gold medal tally surpassed the previous edition with 15-year-old shooter Anish Bhanwala becoming the youngest contributor to it but India had loads to be embarrassed about on a day when two track and field athletes were ordered out of the Commonwealth Games for breaching the event’s ‘No Needle policy’ in Gold Coast. There was ecstasy and agony in equal measure for the Indian contingent on Friday. The country enjoyed its best day so far in the Games, picking up three gold, three silver and four bronze medals but it also turned out to be the most embarrassing as race walker K T Irfan and triple jumper V Rakesh Babu were sent home in ignominy. India’s medal tally rose to 42, including 17 gold, 11 silver and 14 bronze. India had won 15 gold medals in the 2014 Glasgow Games. To focus on the positives, the day belonged to Anish, the Haryana wonderkid, who shot down a Games record for his gold in the 25m rapid fire pistol event. “I was fully expecting this medal because I have been doing it in other tournaments. The names keep changing but I get the same results,” said the youngster, who is now busy worrying about his maths exam when he lands in India. The shooting ranges provided a second gold on the same day for the first time these Games. Former world champion Tejaswini Sawant was the other gold-winner to emerge for India at the Belmont Shooting Centre in the 50m rifle 3 position event, where Anjum Moudgil settled for a silver. 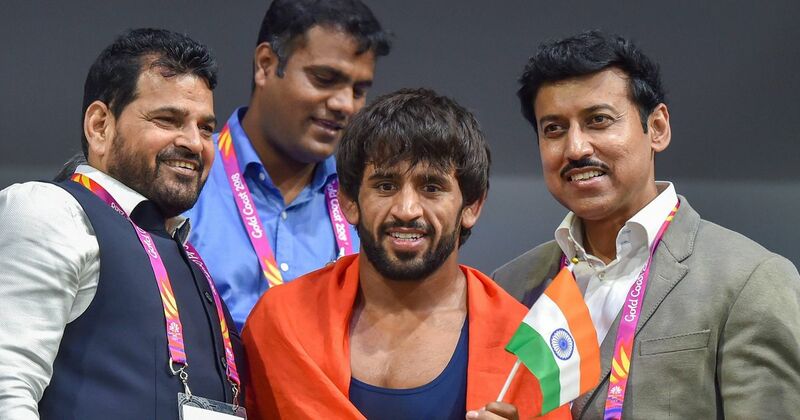 The wrestlers dominated the mat at the Crarrara Sports and Leisure center, picking up five medals today, though only Bajrang Punia (65kg) stood on top of the podium. Mausam Khatri (97kg) and Pooja Dhanda (57kg) picked up silver medals while Divya Kakran (68kg) notched a bronze on her CWG debut. “This gold medal proves the significant improvement in my wrestling career as I won silver at the last Commonwealth Games. I played four bouts, and I was prepared quite well for the competition,” said Punia. In the boxing ring, three men – Naman Tanwar (91kg), Mohammed Husammuddin (56kg) and Manoj Kumar (69kg) – settled for bronze medals. But Vikas Krishan (75kg) and Satish Kumar (+91kg) and the fast-rising trio of Amit Panghal (49kg), Gaurav Solanki (52kg) and Manish Kaushik (60kg) entered the finals in what is turning out to be the team’s best ever CWG show. “I am very happy with what we have achieved. It is an unprecedented performance and the challenge now is to ensure that each one of the finalists get gold medals. It is challenging but I am confident that we will do it,” Indian boxing’s High Performance Director Santiago Nieva told PTI at the end of the day’s proceedings. But one incident that overshadowed all the good was how fumbling Indian officials dealt with the latest embarrassment even though there was no doping violation involved. As if the humiliation of having athletes sent home was not enough, the manner in which the administrative staff of the Indian contingent gave contradictory statements only added to the mess. 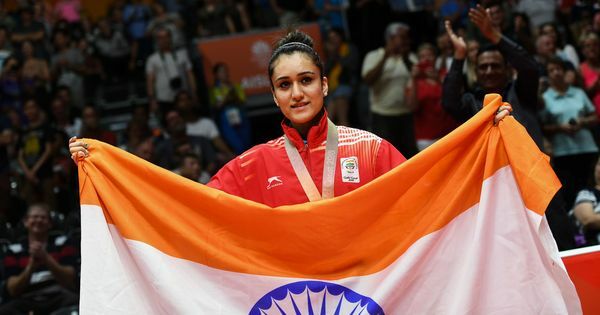 The Indian contingent officials, including chef-de-mission Vikram Sisodia, first stated that they would appeal against the decision taken by the CGF court but the Indian Olympic Association contradicted its own staff by stating that the sanctioned athletes would be penalised further. It was a quintessential goof-up story as far as the administrators were concerned but baffling was Sports Minister Rajyavardhan Singh Rathore’s silence on the matter despite touching down in the city on Friday. Rathore went from one venue to another to support the competing Indian athletes but did not issue any statement on the latest incident, in which the officialdom was mostly caught napping. The athletes in question were barred from the Games even though neither of them was to compete. While Irfan is already through with his 20km race walk event, finishing 13th, the 28-year-old Rakesh Babu was to participate in today’s triple jump final after qualifying 12th for the competition but was ruled out last night owing to a knee injury. “When the Commonwealth Games Federation says no tolerance, the Commonwealth Games Federation means no tolerance,” the CGF stated in its strongly-worded statement that called Irfan and Babu’s declaration of innocence “evasive and unreliable”. The athletes at the center of the storm have been incommunicado since the controversy broke out and are expected to catch a flight to India tonight.